Ever since humans set foot in new lands they have used fire to significantly modify their newly colonised landscape. 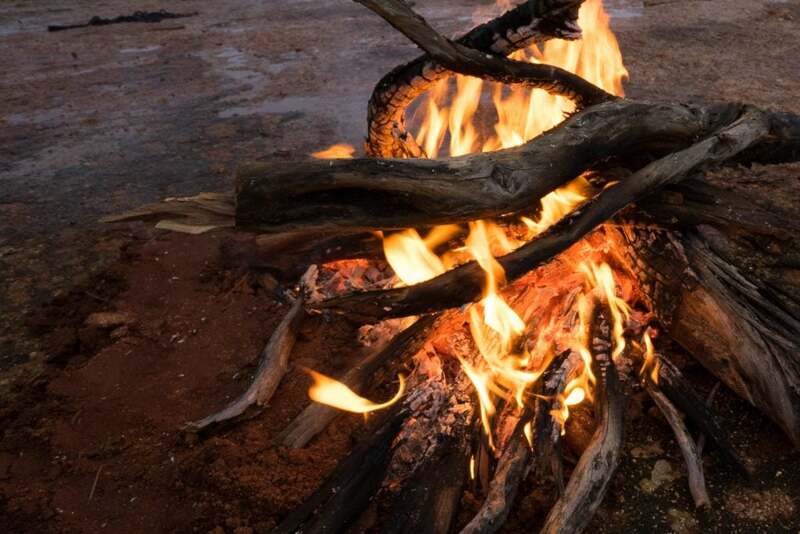 For tens of thousands of years nomads used fire not only for warmth and cooking but on a larger scale, for controlling vegetation and the habits of grazing animals that were their prey. Indeed all humans share a heritage in which fire has played a pivotal role in life for a long enough time that the association must be instinctively embedded in our psyche. 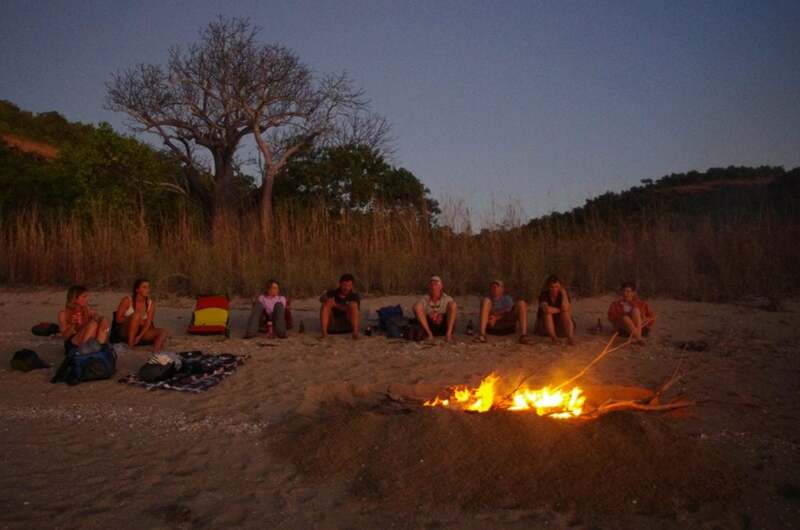 Perhaps that’s why a campfire’s flicker is so universally entrancing. 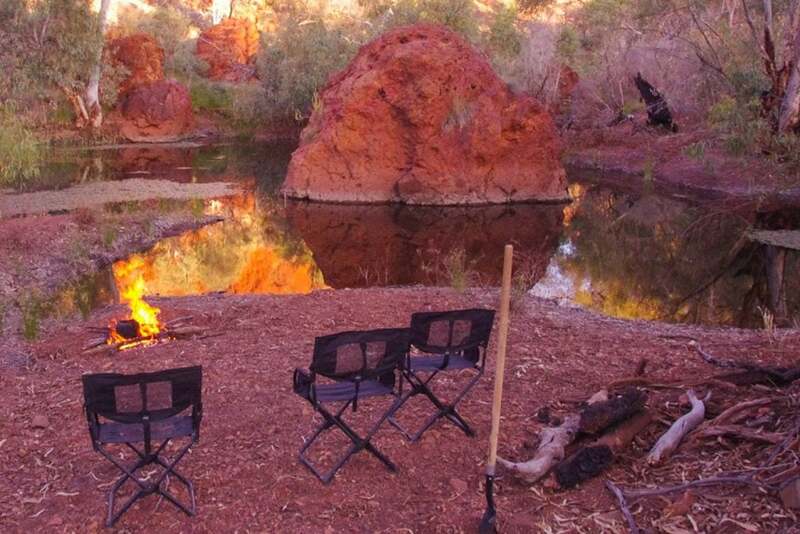 Apart from providing warmth to sit by and heat for cooking, the ambience of a campfire is one of the central pleasures of camping. Sadly there are many places now where the overuse of campfires has made it mandatory for their use to be banned. Apart from the obvious seasonal reason of fire restrictions, fires have been banned or discouraged for two reasons; the denudation of deadwood that provides habitat and the visual impact fireplaces have in a natural setting. 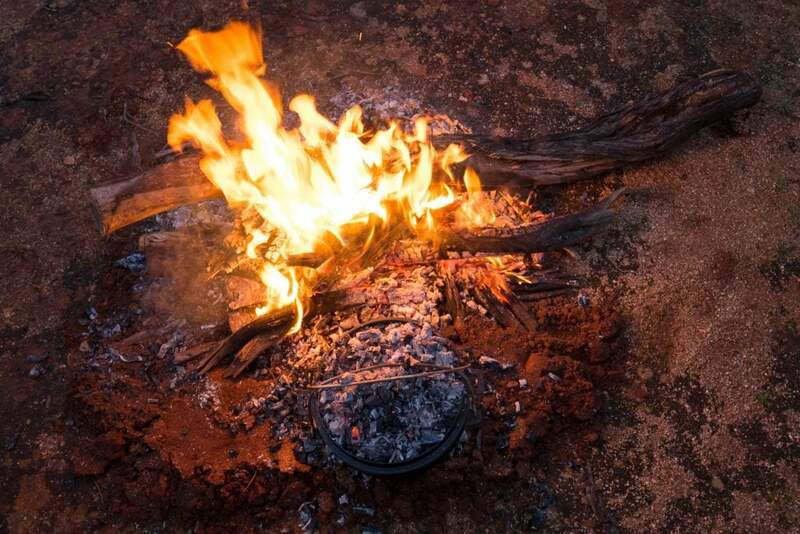 Both reasons stem from places becoming so popular that despite the eucalyptus forest’s (or in arid zones, acacia woodland) propensity for providing plenty of highly combustible dead-wood, these places have been completely stripped of any fallen wood and are littered with old fireplaces. The simple rule is that if you plan to camp somewhere popular, you should be equipped to manage not having a fire at all, and if you’re planning to transport in your own timber. If you are going somewhere less popular and you choose to have a fire then you should make sure the wood comes from places that have an abundance of it and where it’s not sheltering young plants. If there is already a fireplace, use that in preference to making another one. If there is no fireplace, choose the fire placement carefully so as to minimise any after-effect and dig a fire pit, placing the dug out material on the downwind sides of the rectangular pit. Sandy soil is the easiest place to have a fire and leave no trace of it, followed by gravel then soft soil. If there are any plants carefully remove them in sods of earth complete with the herbage growing in it, move them to a shady spot and cover them if possible. Light the fire in the pit and try to keep it contained there. 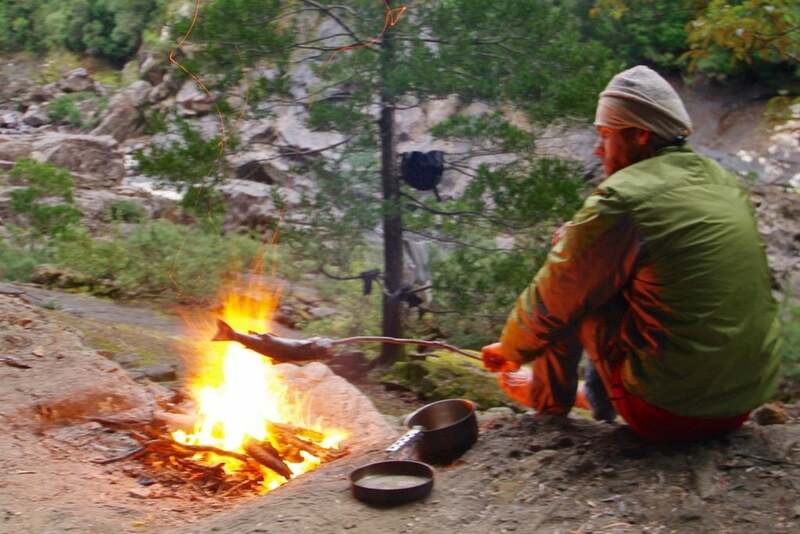 When you are finished make sure that the fire is out and completely cold, clean out any foil or cans, remove the dead coals and ash and scatter them around discreetly. Lastly restore the site as closely as possible to its original state by replacing the sods or earth and make the area look as undisturbed as possible. Fire rings made of rocks are ugly, unnecessary and should be discouraged. A note to any land managers out there: there are many designs for fireplaces in public camp grounds, in my opinion, most are hopeless and look unnecessarily expensive! The best public fireplace I’ve come across was a simple concrete ring – steel would work almost as well. 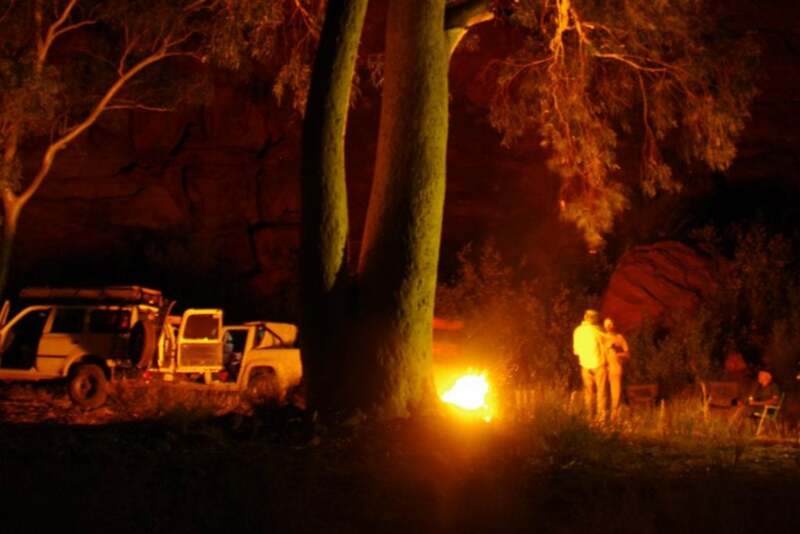 If your fire can only be on exposed rock, put a bed of sand down first to minimise the fire scar on the rock. Beware of lighting a fire on porous rock beside a river that is likely to have water in it, it can explode projecting shards of hot rock everywhere. As with any activity in the wild make sure that as far as possible you leave no trace of your passing for others to enjoy and to keep the sometimes indiscriminate hand of regulators from having to intervene. 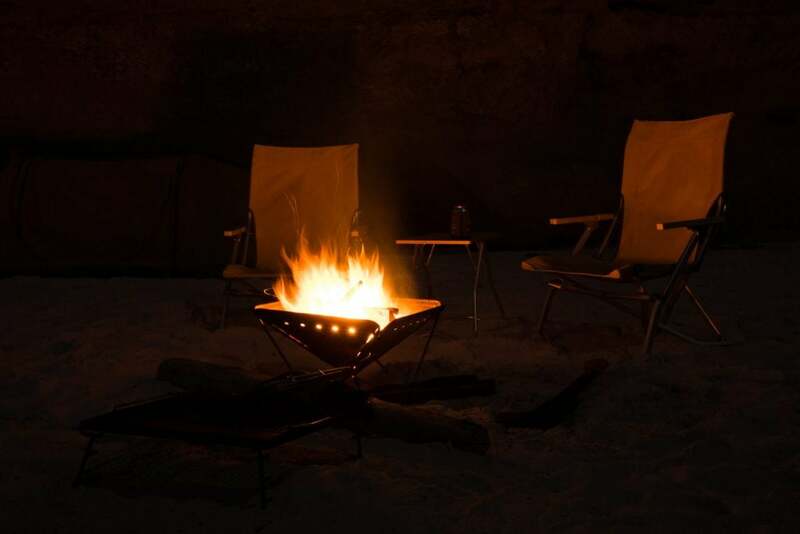 An increasingly popular alternative that leaves almost no trace is a portable fire-pit. They require far less timber and with minimal effort you can leave barely a trace. It’s a piece of gear to consider carrying if you regularly camp in popular or sensitive places!